When we build forms, we know there’s a good chance that the data we want to collect may change. 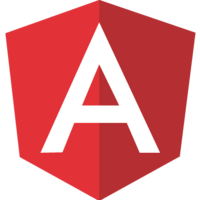 Dynamic Forms in Angular give us the ability to define the underlying object model before binding the form to the template. This lets our forms programmatically adjust to the underlying model so we don’t have to update each form manually as our data will eventually change. In this course Google Developer Expert-led we will use Angular’s Reactive Forms and learn about the basics for dynamically rendering FormControls. We will also explore how more advanced input controls such as select boxes and radio button lists can be dynamically bound to our template. If you’re coming from AngularJS (v1.x) you may also be familiar with dynamic forms in the context of Formly, a library for automating dynamic forms. We will also quickly touch on ng-formly, which is the Angular (2+) equivalent.